In looking forward to warmer weather and summer activities I realized it was time to change up our dinner menu. With more sunshine and exercise it is high time to exchange the heavier oven and crock-pot meals for BBQs and salads; high in protein and veggies and low in carbs. My husband had mentioned recently that a couple times a week he wouldn’t mind getting a salad instead of a sandwich for lunch. 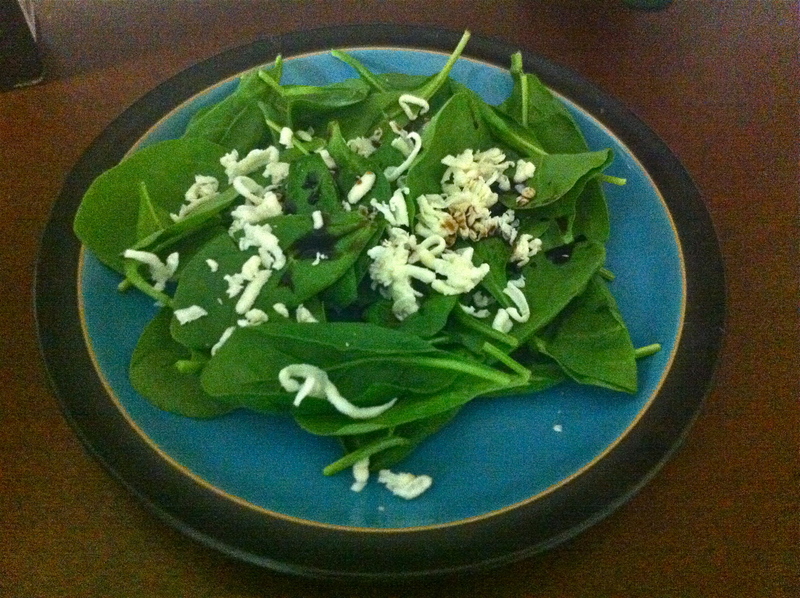 As we talked about our favorite salad combinations I realized it was time to try out some new salads for dinner. 1. 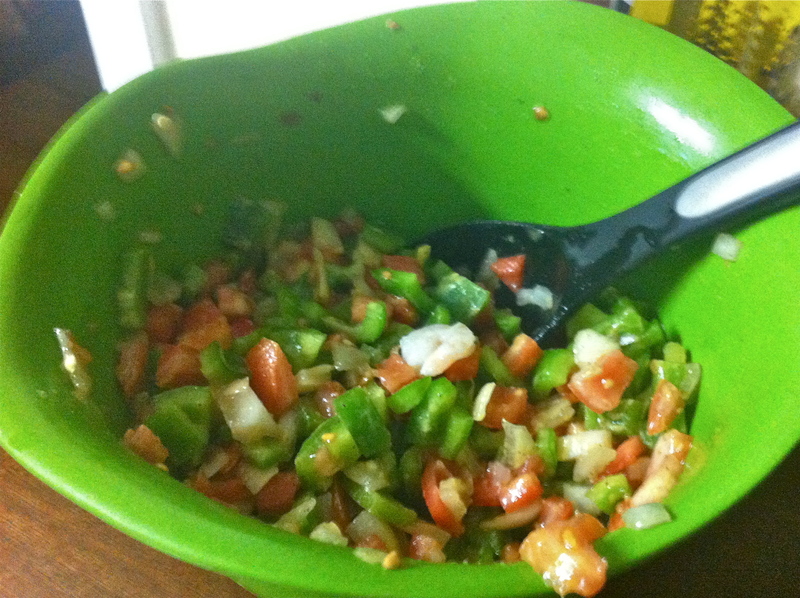 I started with my basic pico de gallo recipe (see homemade pico de gallo). 2. 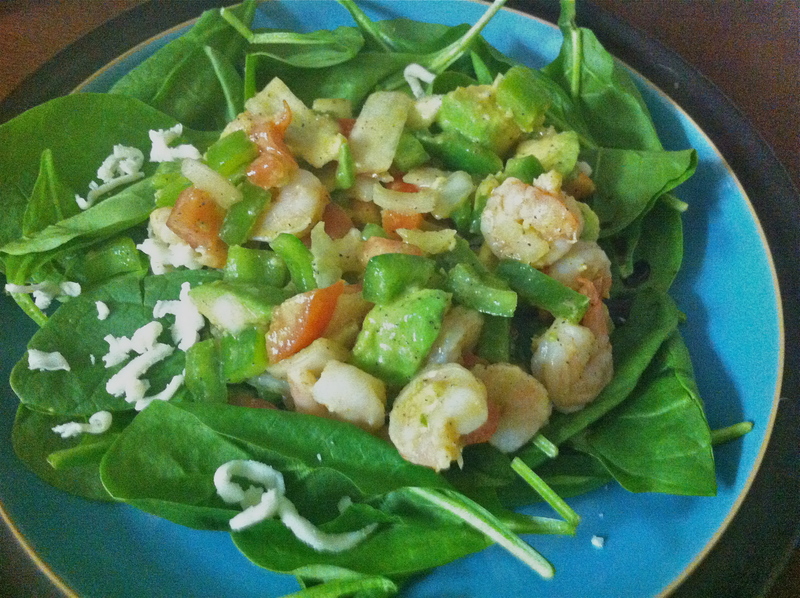 While cutting the veggies for the pico de gallo, I put the frozen bag of precooked shrimp in a medium pan with a little olive oil, butter, (about 1 TBs each) and garlic powder (about 1/2tsp). 3. 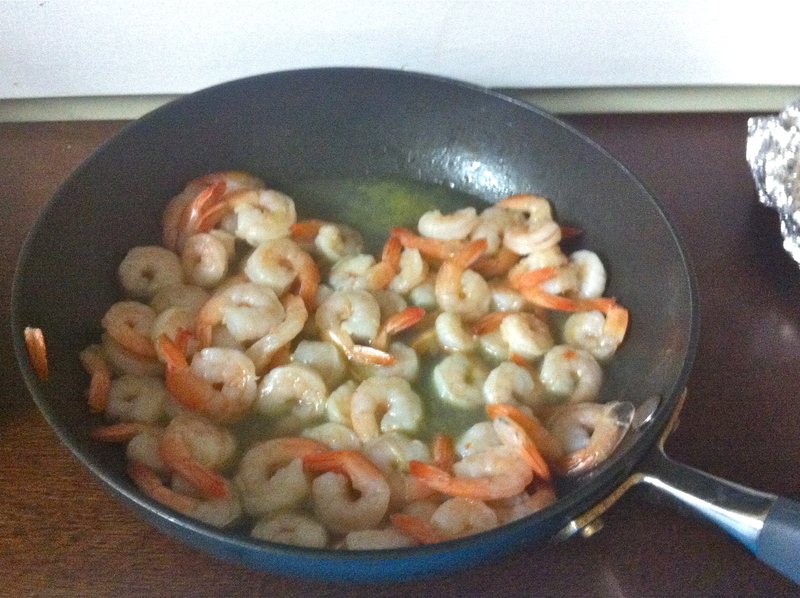 Once the shrimp were defrosted and had soaked up the oils I took them off the heat. After they cooled down (still a little warm) I carefully pulled out the tails. This didn’t take too long to do and the more I pulled the easier and quicker it became. But if you are opposed to this you can find smaller shrimp frozen where this is done for you. 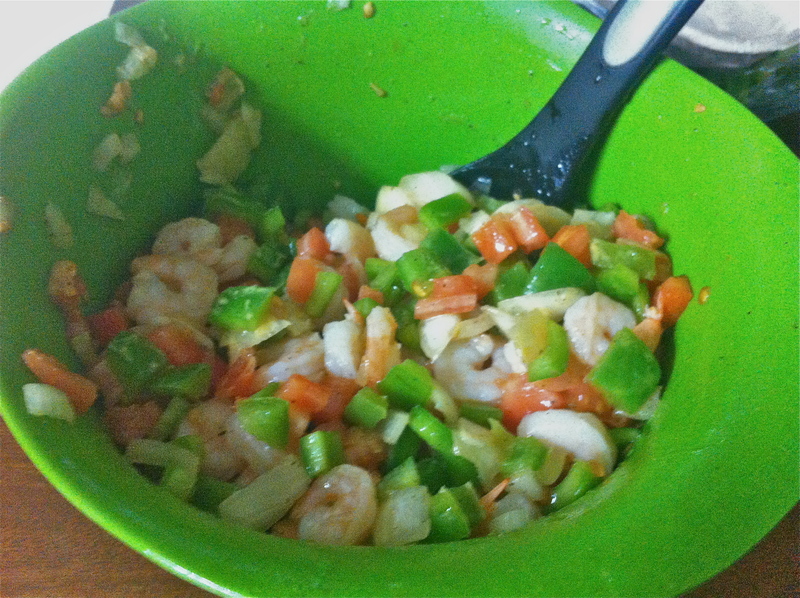 Then I placed the shrimp in the pico de gallo mixture and combined. 4. 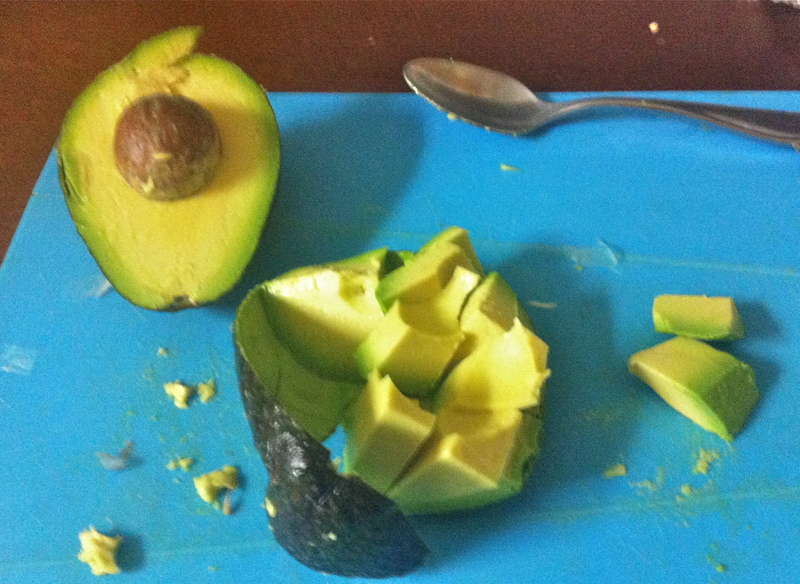 Next I took the ripe avocados and cut them into square slices placing all in the bowl. With avocado if you want chunks make sure that your avocado is not overripe or is may be mushy and cutting slices/chunks will be difficult. Or if you want a creamy avocado dressing to form you can stir the salad up with over ripe/mushy avocados. Note: You can make the salad creamier to help cut the citrus by adding sour cream or greek yogurt (about 1/4 or 1/8 C) or combining overripe avocado with the cream. 5. Then I added a little more seasoning, lemon juice, and olive oil and covered the mixture with tin foil putting the bowl in the fridge to chill until dinner. 7. 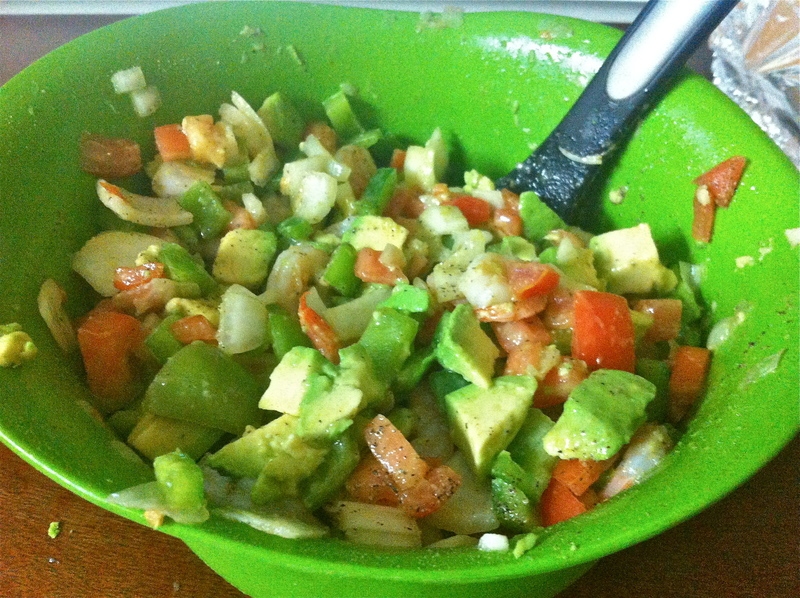 This combination in and of itself is a great salad, appetizer with tortilla chips, or filler for quesadillas or tacos. 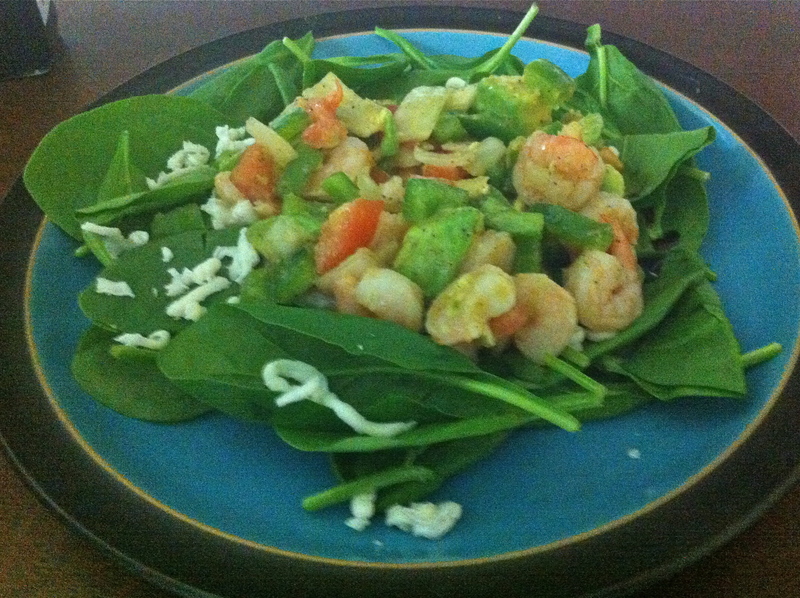 We chose for dinner to lay-down a bed of baby spinach, then some balsamic vinaigrette (although you can use any of your favorite dressings) and some mozzarella cheese (because we didn’t put cream in the shrimp salad mixture) then place the shrimp and avocado salad on top. It tasted great! It was the perfect combination of sweet, savory, and creamy, with enough protein for a light but filling dinner. So what’s your favorite salad combination?